Lasers have been used in dentistry since 1994 to treat a number of dental problems. But, despite FDA approval, no laser system has received the American Dental Association’s (ADA) Seal of Acceptance. That seal assures dentists that the product or device meets ADA standards of safety and efficacy, among other things. 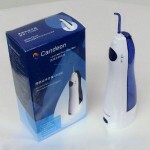 The ADA, however, states that it is cautiously optimistic about the role of laser technology in the field of dentistry. These lasers are different from the cold lasers used in phototherapy for the relief of headaches, pain, and inflammation. The Laser Dental Cleaning procedure performed is also known as the Sterilase procedure, is a much more benign and comfortable way to clean teeth. It is a great improvement over the conventional cleaning method, and provides a greater measure of protection for the mouth’s oral immune system. Laser dentistry also eliminates many of the common complaints of traditional dentistry. Some dentists use lasers to assist them in performing procedures that have traditionally required metal tools such as picks and drills. Originally dental laser use was relegated to procedures that required a high power laser to cut into teeth, but now dentists use lower powered lasers in a variety of procedures, including cleaning teeth and gums. Most dentists clean teeth by using metal picks to scrape off harmful plaque that has built up on your teeth. Even if you brush your teeth and floss regularly, plaque often still accumulates over several months. 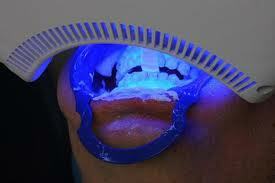 Dentists using lasers to clean teeth will use a low powered laser to cut away the buildup on your teeth. In addition to physically removing the plaque, the heat of the laser will also help kill bacteria living in the area where your gums meet your teeth. A laser doesn’t require physical contact with your teeth. Although laser tooth cleaning may sound painful, the lasers are such a low power that no pain should occur. A laser tooth cleaning should be more comfortable for you as a patient than a cleaning using metal tools. The cleaning process can also normally be done more quickly. The only addition to the laser teeth cleaning procedure is the requirement of protective glasses to shield the eyes from the laser beam. A laser doesn’t make any noise and doesn’t require physical contact with your teeth. Water isn’t usually needed but air suction is used to keep the treated area cool. However, after using a laser to clean teeth, many dentists will still use a water pick to clear away remaining plaque that has been loosened by the laser, and rinse your mouth. This is also normally done during a traditional cleaning. Most dentists do not yet use lasers during teeth cleaning. Although the technology has existed for decades, the price used to be prohibitively high. 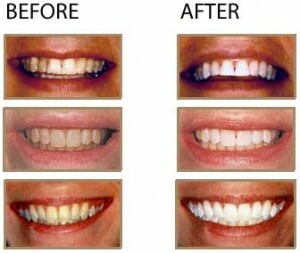 The price of lasers is decreasing, and as a result the use of them for teeth cleaning is increasing. Some dentists prefer to use metal picks for the majority of patients, but use lasers for some. These dentists typically use lasers when traditional mouth cleaning doesn’t seem to be effective for the patient, or when the patient finds metal tools too painful. If your dentist cleans your teeth with metal tools, but you want to try laser cleaning, ask him if it is available. If not, you can search phonebooks and dentist listings in your area to find a dentist that offers laser cleaning. Some dentists only use lasers for more complex teeth cleaning. This includes cleaning teeth surrounded by infected gums, and cleaning teeth directly before surgery to ensure that your mouth is sterile. The laser may be used to supplement other types of cleaning, most commonly ultrasonic cleaning. Ultrasonic cleaning uses waves to loosen plaque from teeth and after that, the teeth are polished and rinsed off with a warm, high-pressure water spray containing sea salt, which encourages healing and makes the teeth feel clean and smooth. A supportive periodontal cleaning is recommended in 3 months following a laser dental cleaning to evaluate the healing of the tissue and to review oral hygiene. 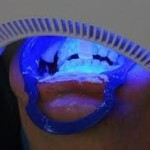 Laser treatment tends to be more expensive since the cost of the laser is much higher than a dental drill. Lasers can cost between $39,000 and $45,000 compared to about $600 for a standard drill.